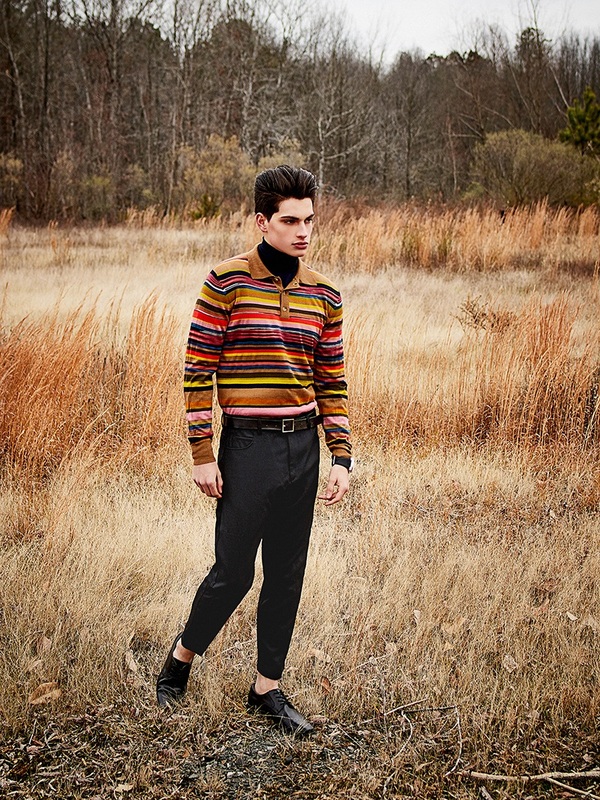 Cameron wears sweater Missoni, turtleneck Eleventy, trousers McQ, watch Bell & Ross, belt H&M, and shoes George. Cameron Porras ventures outdoors for a new exclusive. The Next model steps into a smart wardrobe as he appears before the lens of photographer Orlando Behar. Styled by Behar as well, Cameron dons chic knitwear and dapper trousers. Embracing rich colors, Cameron's wardrobe includes brands that range from Missoni and Eleventy to Baldwin. 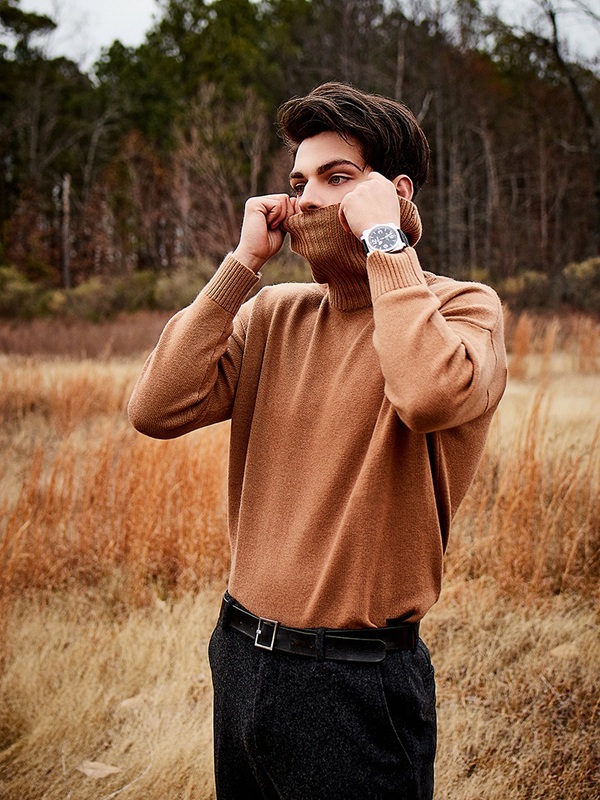 Cameron wears sweater Missoni, turtleneck Eleventy, trousers Baldwin, and watch Bell & Ross. Cameron wears sweater POLO Ralph Lauren, trousers G-Star, watch Bell & Ross, trousers Etro, watch Bell & Ross, and belt H&M. 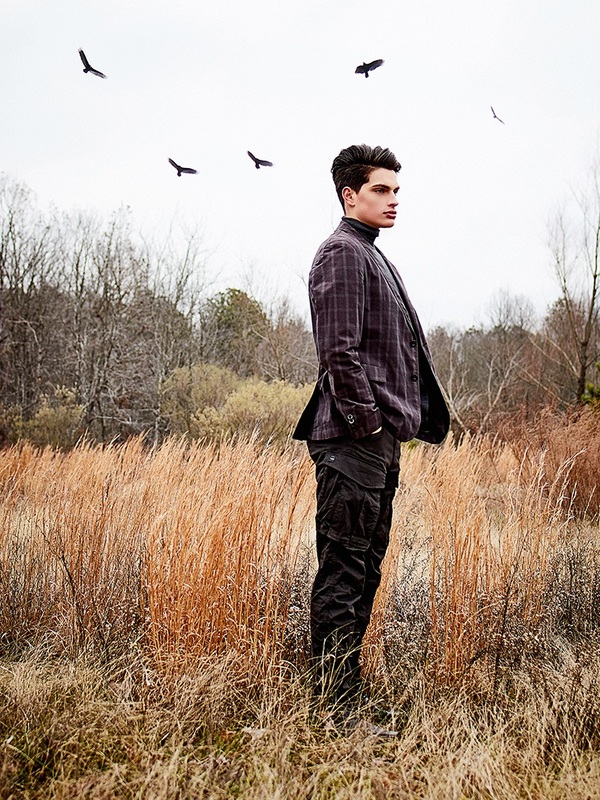 Cameron wears sweater Etro, shirt Paul Smith, trousers Etro, watch Bell & Ross, and belt H&M. Cameron wears sweater The Kooples, trousers John Varvatos, watch Bell & Ross, and belt H&M. Cameron wears blazer BOSS, turtleneck Eleventy, trousers G-Star, and shoes George.